Written by expert zoologists, this 3-vol. 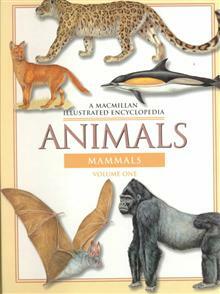 Encyclopedia covers virtually all of the world's vertebrate animals from Bustards to Kinkajous from Galliwasps to Ballyhoos. Students will find just about any animal they need for class reports or independent studies. Adult patrons, from ... read full description below. Written by expert zoologists, this 3-vol. Encyclopedia covers virtually all of the world's vertebrate animals from Bustards to Kinkajous from Galliwasps to Ballyhoos. Students will find just about any animal they need for class reports or independent studies. Adult patrons, from bird watchers and animal lovers to conservationists and eco-tourists , will find helpful information on a vast array of species and their habitats around the world. This reference work provides a unique combination of comprehensive subject coverage, useful reference tools, and stunning full-color illustrations by foremost wildlife artists that is unmatched by any other published work available to libraries today.